Gone are the days when there was no solution to damaged or missing teeth. Thanks to restorative dentistry procedures, you can now get the look and functionality of your teeth restored without any problem. However, we understand that restorative dentistry is confusing, or even scary, for many people. While it can be complicated, we understand how to find the right path forward for you and your love ones in this area. At Kirkland Family Dentistry, we have decades of experience helping our patients have the smile they have always wanted. Whatever the issue, we will work with you to solve the problem and take care of your oral health. Restorative dentistry is the integrated management, study, and diagnosis of dental issues. It also involves the rehabilitation of the functions and aesthetics of your teeth. In simple words, restorative dentistry includes using a mix of procedures to restore damaged or missing teeth. These procedures can be used in response to several different problems. If you believe you may need it, it’s very important to opt for restorative dentistry sooner rather than later. Delaying treatment can lead to tooth loss and other serious issues. How Do I Know That I Need Restorative Dentistry? Have a chipped or broken tooth. Have swollen or bleeding gums, etc. While these are some of the most common signs and symptoms of dental issues, you may not always notice these signs as some problems, such as cavities, can often stay hidden for months. This is why we suggest that you visit us for regular checkups to ensure your oral health even if you do not feel dental pain or other such issues. Which Procedures are Covered in Restorative Dentistry? Restorative dentistry includes a mix of dentistry procedures. The right one for your situation depends on your oral health and requirements. We’ll examine your condition and recommend the right procedure based on your requirements. Also known as endodontic therapy, it’s one of the most commonly performed procedures at our clinic. Though they have a scary reputation, root canals are simple and relatively painless. 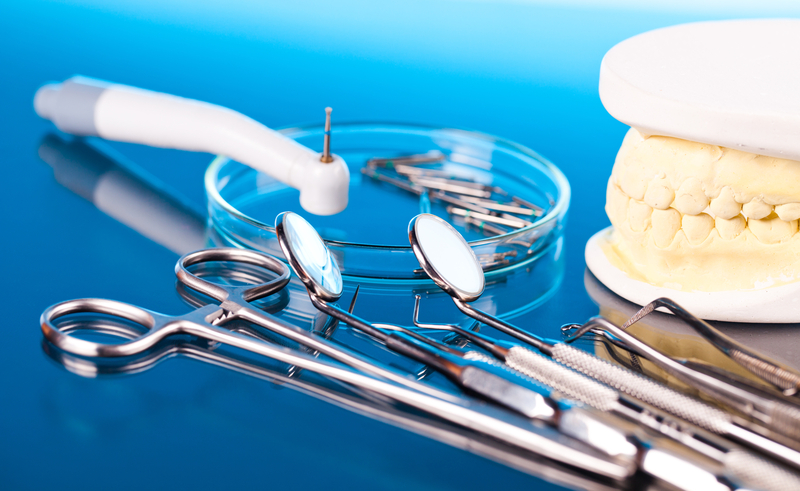 The procedure involves removing infections from the inside of a tooth. It’s important to get treatment early as delaying treatment can lead to other teeth getting affected as well. Left unchecked, infections like this can be very damaging to your long-term oral health. Crowns are used to not only restore a tooth to its original shape and function but can also be used to protect a tooth from further damage. We may also place a dental crown after we perform a RCT. The procedure is painless and can also be an option to improve your smile. Dental bridges can be a good option for missing tooth or teeth. We normally suggest dental bridges when you have one or two missing teeth in a row. You will, however, need healthy teeth in the mouth to support the bridge structure. Cavities are among the most common dental issues. They usually occur due to poor dental habits and require proper treatment. Fillings are used to treat tooth decay and restore teeth to their original size and shape. They’re helpful in reducing the risk of infection and also improve the bite. You can choose from a variety of filling materials including porcelain, amalgam, and composite resin. Dentures are a painless and affordable solution for missing teeth. They can be complete or partial and are suitable for most candidates. Partial dentures are used to replace multiple teeth, whereas complete dentures are used to replace the entire upper or lower palate. Dental veneers can be your go-to option to treat chipped or cracked teeth. Also used for cosmetic purposes, veneers can help restore a tooth’s look and functionality. They’re generally made of porcelain and look just like your natural teeth. They are a permanent solution as they’re bonded to your existing tooth. Dental bonding is a technique used to repair a damaged filling. The procedure involves using a tooth-colored resin so that it appears just like your natural teeth. Dental implants offer a success rate of 98% and are generally the most suitable solution for missing teeth. The procedure involves preparing the jaw to support a dental prosthesis like a bridge, crown, or denture. Why Should I Choose Kirkland Family Dentistry for Restorative Dentistry? Kirkland Family Dentistry is among the best dental offices offering restorative dentistry services in Kirkland, WA. Our dentists are highly skilled and bring years of experience to the table. Plus, we ensure you feel no pain during the procedure as we also offer sedative dentistry. Our services are highly affordable and customized according to your needs. We accept insurance and can even deal with your insurance company on your behalf so that you have nothing to worry about. Getting restorative dentistry work done can be a great improvement to your quality of life. If you would like to learn more about the possible treatment options, or just ask about whether it’s right for you, contact us, or call at (425) 822-0435.